Recently, there have been a rush of articles on akgae fans and the potential problems that they can cause for an idol group. These sorts of fans are notorious within the groups’ respective fanbases for causing major conflicts. What exactly are akgae fans? 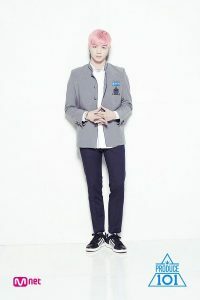 Abbreviated from akseong gaeinpaen (악성개인팬) which means “malicious individual fan”, these types of fans only like one member of the group instead of the group as a whole, and as a result, strongly dislike and bash the other members. Because they think so highly of their bias, they may also think that their bias deserve more than being in just a group or that their bias does not get enough attention. Why exactly do akgae fans, or akgaes, exist? Obviously, it’s difficult to pinpoint a reason, if there is one at all — it may be dependent on the individual akgae. However, there are multiple factors that can increase the risk, if you will, of garnering akgaes. The first is reality group survival and elimination shows. With an abundance of such shows recently like Produce 101 and Idol School, these are the perfect recipe for creating akgaes. Because these series work through fans voting for their favourite to stay on for the next round, fans are forced to narrow their picks to only a few and will give the member(s) of their choice all their time, effort, and love and attention. In some cases, they may even have to pay to vote, further heightening the stakes. When the time comes that their bias debuts in a group, fans who have put their all into a single member may feel that he or she is better than the rest of the group. In addition, they may feel that the other members should not have made it into the group, and that their bias is thus entitled to more. This can lead to them putting down or bullying other members as a show of affection to their own bias. A prime example of this is with Produce 101 Season 2 and its winning group Wanna One. As a survival show with rankings made public, this can create a lot of conflict: akgaes of higher-ranking members may feel that their bias deserves more, for example. This is exacerbated by the fact that the trainee who received the final first-place ranking was promised center position, which may encourage fans to fight one another for their bias to get that coveted spot. A second factor is the agency’s selective promotion of a single or a few members of the group over the others. This can go both ways: when an agency popularises and pushes only a single member, for example, that member may get lots of public recognition and draw in many akgaes who only support him or her. On the other hand, fans of members who do not get promoted may be dissatisfied with the unfair treatment and grow spiteful towards the rest of the members of the group. 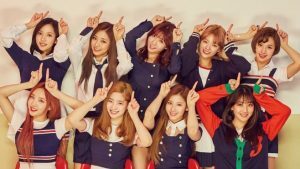 Twice is a group that has many akgae fans, perhaps due to the agency’s frenzied promotion of Tzuyu towards their debut. As a group who is a result of Sixteen, another survival show, this compounds the likelihood of akgae fans who only want their favourite to shine. This leads to the next question: why exactly are akgaes so frowned upon? As passionate fans, this could be a gain to the group as they can add to the overall support of the group even if it’s just for a single member. However, by causing internal conflict within the fandom community, they are a threat to the group’s overall stability. A strong and united fandom is crucial for the success of a group — voting for music show and end-of-year awards as well as promotion by word of mouth are all dependent on the fandom. Thus, if a fandom is busier with arguing with each other in the comments section of a forum than putting their effort in voting for their group to win on SBS Inkigayo, for example, this can be detrimental for the group’s future. What’s more, a group is only as strong as its weakest link. Bashing certain members certainly won’t help with their confidence, and this may even drive them against their own group. They may grow jealous of fellow members for receiving so much support, and members that are favourably looked upon by akgaes may feel that they deserve more screen-time and attention. Ultimately, this could destroy the necessary harmony that keeps a group together. A few examples of groups with strong akgae presence have been mentioned above — Wanna One and Twice. Since the members of Wanna One were ranked during their days on Produce 101, it is almost inevitable that they would be judged based on these rankings. Take Daniel for example, who ranked first with his many charms, visuals, and happy-go-lucky attitude. Many of his akgaes were outraged over his lack of screentime in their debut music videos and stages, since he apparently did not appear in the centre position (as promised with his win) enough. On the other hand, Jisung received a lot of hate for his visuals and supposed lack of talent based on his mistakes in the “Nayana” stage. Physical appearance — specifically how closely their physical appearance fall within the conventional perceptions of beauty — and talent seem to be the key factors in picking out akgaes: even in Twice, akgaes have gone so far as to fat-shame Jihyo because of her appearance. Since her physique does not seem to adhere to their conventions of beauty, this becomes an easy way for akgaes of other members to attack her. Other groups that have strong akgae presence include BTS — many akgaes of the vocal line strongly dislike the rap group due to their visuals, and Gugudan — Sejeong akgaes often take to comment sections to express their dissatisfaction with her wasting her talents by being in a group; perhaps this is due to her strong solo activities during and after Produce 101. It’s easy to see why akgae fans are such a nuisance and disturbance to the overall fandom of any idol group. However, in this industry that is as over-saturated as it is, the reality is that idol survival shows are a convenient way to create groups that will already have a strong fanbase, and management by heavy promotion of one or a few members can help to ensure that the group’s name gets out there. While it’s generally advantageous to have more fans, akgaes are certainly an exception, and can be detrimental to the group’s success, especially in the long run.